"Near North Development Corporation fosters community revitalization by catalyzing housing and economic development and connecting stakeholders with resources, opportunities, and each other." 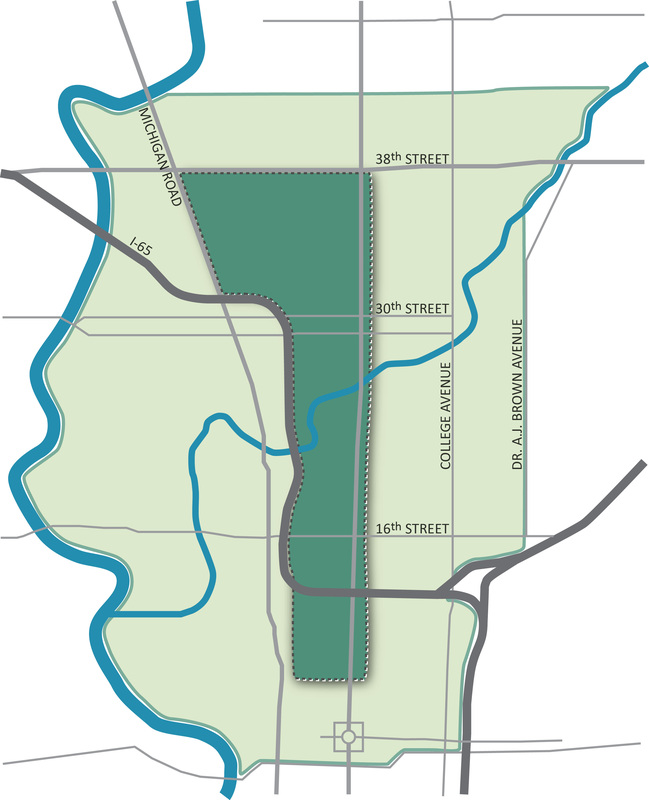 NNDC is a not-for-profit community organization formed in 1977 as a partnership between Methodist Hospital, Meridian Highland Neighborhood Association, and the Central North Civic Association for the purpose of eliminating blight, stimulating economic development, and enhancing quality of life along the North Meridian Corridor. On a daily basis, our staff works diligently to increase affordable housing and economic growth in the Near North Corridor. Our focus area is outlined in the map below.